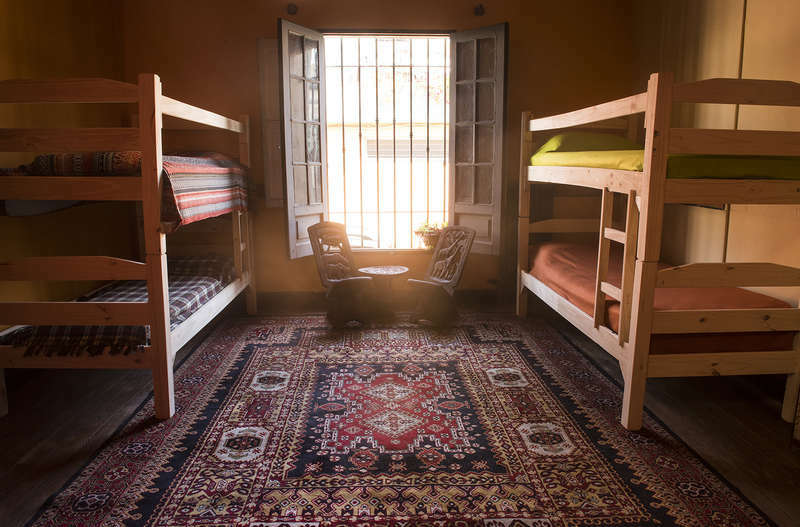 Ejidonia Hostel is located at walking distance from the sea, on a beautiful old house from the early 1900, renovated to enhance the fantastic component of your travel experience. Birthplace of the "candombe", a contagious Uruguayan rhythm, the colorful neighborhood features the heart of carnival, as well as all kinds of pubs, bars, grow shops, markets, restaurants and other services. 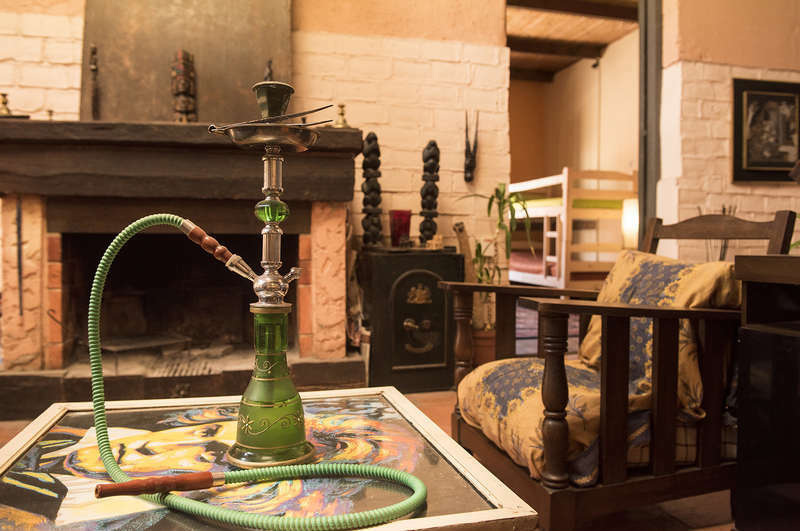 If you prefer to stay in for the night, we've got you covered: you may sign up for a traditional "asado" at our barbecue, watch a live music show, attend to a party at the very hostel, or just lay back and enjoy vynil listening sessions by our in-house bar. 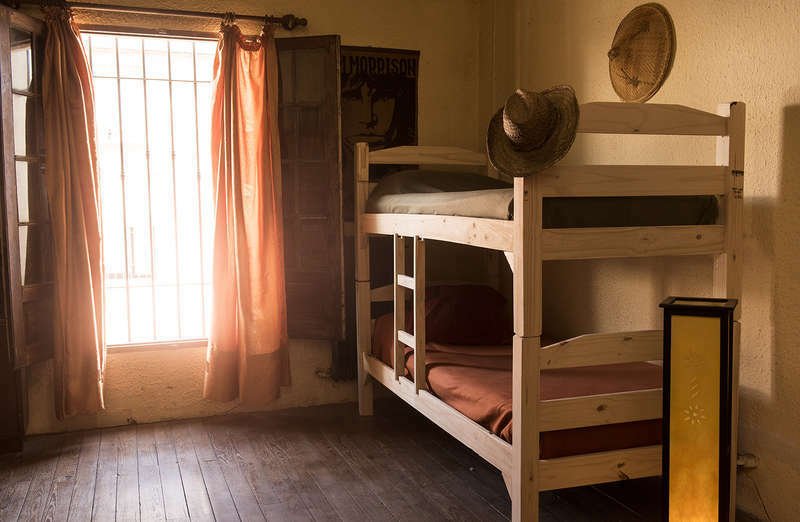 You may choose to spend the night in one of the three shared bedrooms or a private one for couples, all of which have access to a fully equipped kitchen, the multimedia room (featuring videogames, netflix and pc), a comfortable sea view terrace, included breakfast and a high-speed internet connection. Keep in mind we also offer bike rental, night club tickets, various tours (both typical and non-cliché) and much more so you can experience this gorgeous city at its best. If you're arriving at the airport, we recommend to use our pick-up service: for just us$24 (pricing for up to 4 people) we'll be waiting at the ariport to bring you directly to the hostel, giving you our hospitality from the moment you get off the plane. Another option is to take an interdepartamental bus, which have air conditioning, comfortable seats and plenty room for your luggage. The price of these buses is 70 uruguayan pesos (about 2,5 dollars) and they will take you to the Tres Cruces bus terminal. From Tres Cruces you may take a cab or get on a regular bus. Every bus that goes downtown (which are the majority) is ok, but the number 300 (a yellow one) leaves you at a few meters from the hostel (the best way to go is to ask the chofer to let you know when you get to Ejido and Gonzalo Ramirez). We don't recommend taking a taxi from the airport simply because it's not very economic, and the regular buses may be too exhausting for someone who just came from a long trip. Private suite: 25% Down payment is required at the time of booking. If a cancellation is received in writing more than 7 days before the day of arrival, no cancellation fee is charged and a full refund is given. If the booking is cancelled less than 7 days in advance, you will be refunded 50% of the room charge.